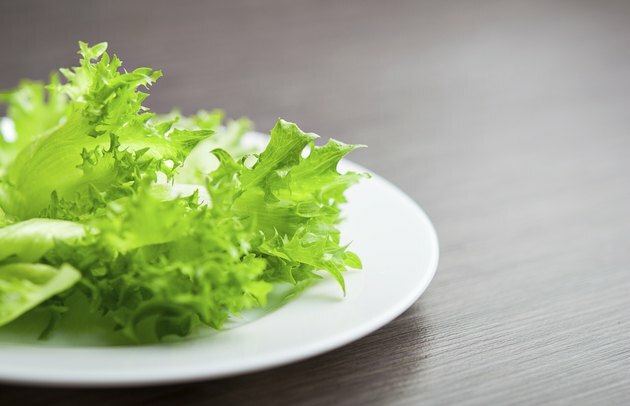 What is commonly known as rust on lettuce is technically known as “russet spotting.” Rust on lettuce doesn’t make the greens inedible, but it does make them unattractive. Russet spotting occurs because of a chemical reaction that involves ethylene gas, and it can be minimized with certain handling and storage practices. Ethylene gas is thought to regulate growth in plants and coordinate their ripening, Cornell University reports. Tractors, trucks and other machinery that have internal combustion engines also give off ethylene gas and can cause plants to ripen faster and develop rust spots. 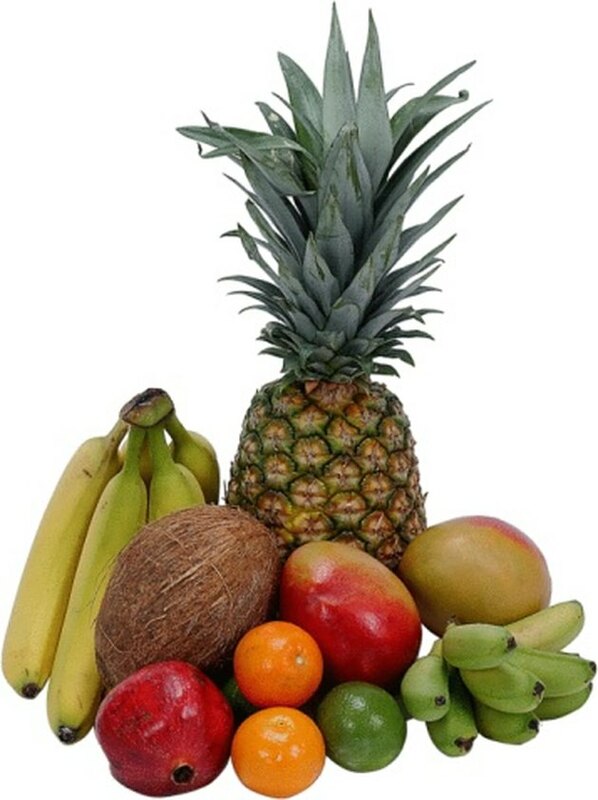 Fruits such as apples, bananas, peaches and tomatoes give off the highest levels of ethylene and greatly affect vegetables such as lettuce, which exude low levels of ethylene. Ethylene gas causes greens to yellow faster and causes rust on lettuce. It also causes carrots to become bitter and potatoes to sprout faster. Lettuce harvesters can reduce rust on lettuce by vacuum-cooling their harvest and storing it just above freezing temperature at about 34 degrees Fahrenheit. Cold temperatures reduce respiration rates in lettuce and slow the ethylene reaction. Well-ventilated coolers can help minimize ethylene exposure. 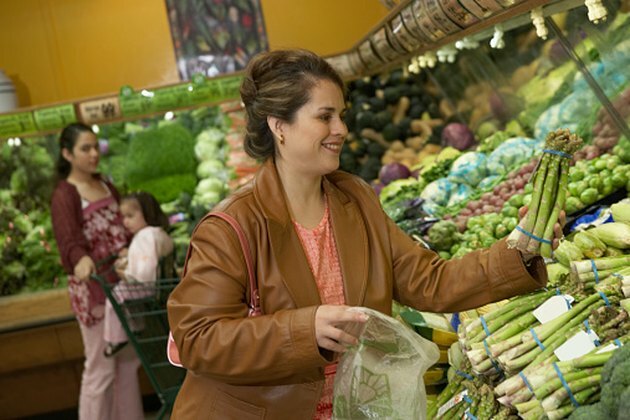 Avoid storing your lettuce along with fruits, Cornell University advises. Potassium permanganate products can be used to absorb excess ethylene gas. It isn’t simply the presence of ethylene gas that causes rust on lettuce; it is damage to the lettuce itself. This may occur during harvest, handling and transport. Bruised lettuce is more susceptible to the chemical reactions that occur with ethylene gas according to the University of California. 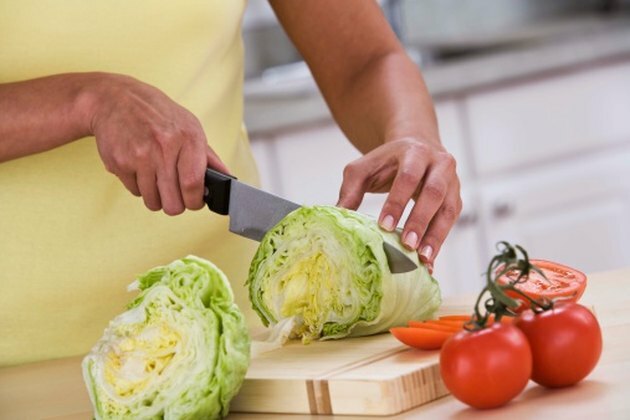 Websites such as Salem Farms recommend tearing rather than cutting lettuce to minimize russet spotting, while other websites, including Recipetips.com, advise using plastic knives rather than metal to deter rust on lettuce. However, damage is damage, McGill University’s Office for Science and Society reports, in any way it is done: Simple aging will lead to rust spots on lettuce. 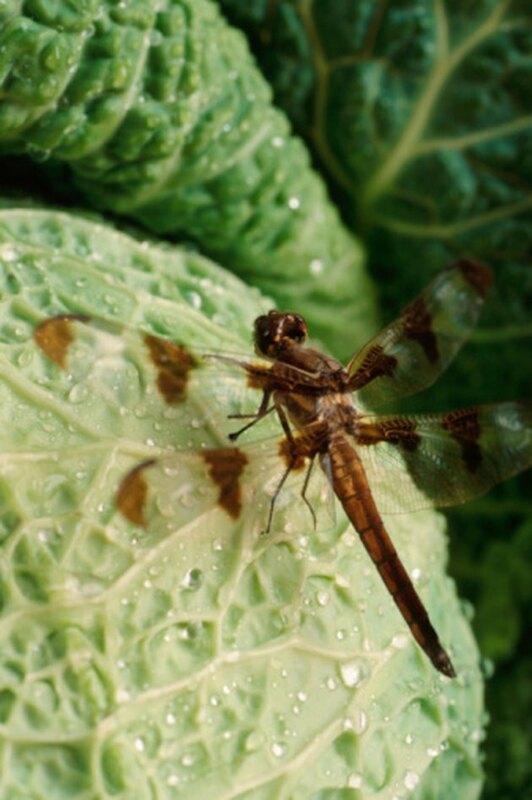 Russet spotting occurs as plant compounds known as polyphenols react with enzymes present in the lettuce. Normally, the polyphenols and enzymes don’t come into contact with each other, but damage due to aging, handling and ethylene exposure allows the compounds to mix. The oxidizing effect allows polyphenols to link together and produce the reddish-brown pigment we know as lettuce rust, McGill reports. No one is truly sure about why russet spotting occurs, but the commonly-held belief is that this reddish-brown pigment offers some defense against plant attackers such as fungi and insects, the historical causes of plant damage. Cornell University: Is Every Blemish on Fruits and Vegetables Unacceptable? McGill Office for Science and Society: Why Does Lettuce Sometimes Turn Brown? What Vegetables Cannot Be Eaten Raw?